Athletes will now be better able to contest a 200m and 400m double at the IAAF World Championships in London this summer after the International Association of Athletics Federations (IAAF) approved timetable changes during the first day of the 209th IAAF Council Meeting. Following requests from the athletics federations of The Bahamas and South Africa to amend the timetable to better allow for the doubling opportunities, the men’s 200m round 1 has been moved from day 5 (August 8) to day 4 (August 7) and the women’s 200m round 1 moved from day 6 (August 9) to day 5 (August 8). The women’s 3000m steeplechase round 1 has also been moved from day 5 (August 8) to day 6 (August 9). South Africa’s world 400m record-holder Wayde van Niekerk could be among those to try for the double, while Olympic 400m champion Shaunae Miller of Bahamas could also attempt it. The first day of the Council meeting on Wednesday (April 12) also included a presentation by the local organising committee (LOC) for the World Championships in London. The IAAF has announced that international ticket sales for the event are the best ever with 605,000 tickets sold to date, more than any other IAAF World Championships. That includes 80,000 children’s tickets at the Usain Bolt price of £9.58. “This summer’s World Championships are close to my heart,” said IAAF president Seb Coe. “12 years ago London won the right to host the 2012 Olympic and Paralympic Games. That decision led to the building of the Olympic Park and the stadium and a decision to keep the track after the Games. This in turn meant that London could bid for and host this summer’s championships. “With just four months to go until competition begins, I look at the success story which is Queen Elizabeth Olympic Park and am grateful to the LOC and so many other people for believing in and delivering this extraordinary legacy. I see a vibrant community space, the former athletes’ village redeveloped into housing and a series of world-class sporting venues being used by Londoners on a daily basis and hosting international sporting events. This was the dream we all had over a decade ago. 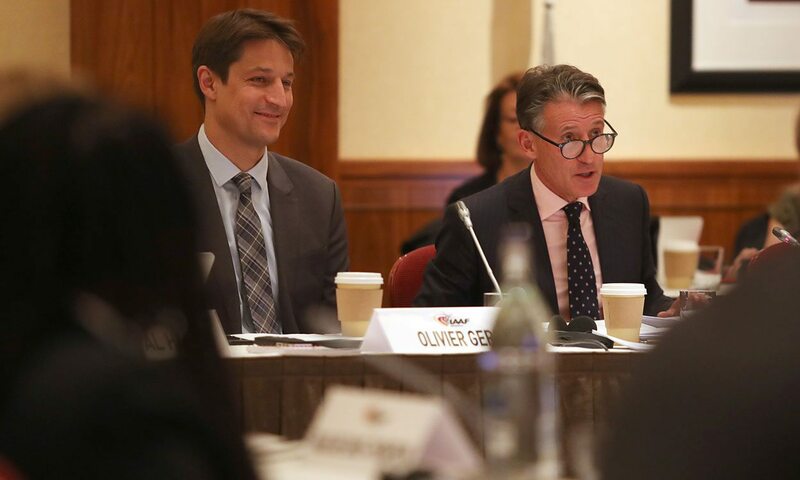 On Wednesday the IAAF Council also approved the composition of the Board of the independent Athletics Integrity Unit (AIU) which began operation on Monday April 3. The chair David Howman, whose appointment was announced last week, is joined by three fellow Board members – Abby Hoffman, Marc Peltier and Andrew Pipe. The fifth and final member of the Board is the AIU head, a position which, until a permanent appointment is made, will be filled by Thomas Capdevielle who is head of testing and deputy head. The dates for the IAAF World Race Walking Team Championships Taicang 2018 were confirmed as May 5-6, 2018, and the date of the IAAF World Cross Country Championships Aarhus 2019 as March 30, 2019, while the IAAF World Championships Oregon 21 will take place from August 6 – August 15, 2021. Council also agreed to a special high jump session being added for the evening of Thursday March 1 to the timetable of the IAAF World Indoor Championships Birmingham 2018.